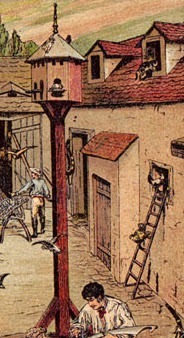 Just look at that chicken climbing the ladder. The following 9 pictures show three basic types of ladders and ramps since the 16th century. A chicken basket, chicken ladder, turkeys and two peacocks (on the back wall) are just a few things in the 1823 work by Johann Michael Voltz (1784-1858) translated as The Chicken Yard. Click on the picture for a larger version. I did a previous posting on chicken baskets HERE and peacocks (on/in a pie) HERE. 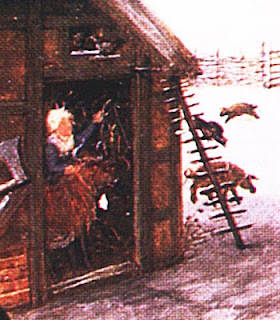 While looking for more about the Voltz picture, I came across an entire blog on chicken ladders with a great collection of pictures. Check out Huehnerleiterwelten . (German for: chicken-huehner, ladder-leiter, world-welten). Labors of the Months, Book of Hours, January c1520 by Simon Bening (c1483-1561). 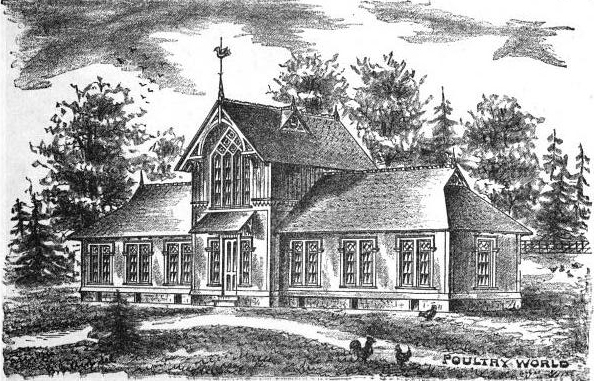 I tried to lighten the image to see the chicken over the door. This type of chicken ladder has a very interesting arrangement of cross sticks or pegs on a single post. 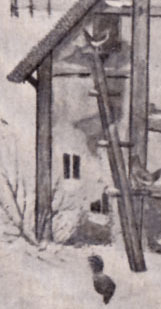 Both peg style ladders from the 16th century are similar to the 1929 photograph of one attached to an 19th century home. A chicken ladder in a 1929 photograph from Zwingenberg, Germany. The Farm-Yard c1890 contains an open rung chicken ladder. 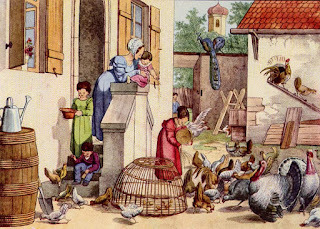 A postcard from 1900 illustrating a ramp style of chicken ladder. 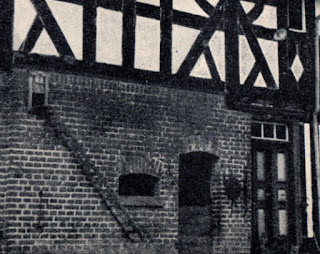 Two chicken ladders/ ramps on the right side, in a photograph of a farmhouse in Berge, Brandenburg. This is great! Chickens do seem to be better climbers than they are flyers. Do you know of anyone recreating chicken baskets for those of us who would like to take our chickens to the kitchen? A few years ago, two ladies were mentioned on the SavoryFaire yahoo group as making chicken baskets - Jacki Bedworth [Wickering Wench, Wisconsin] and Tonia Galban [NY].